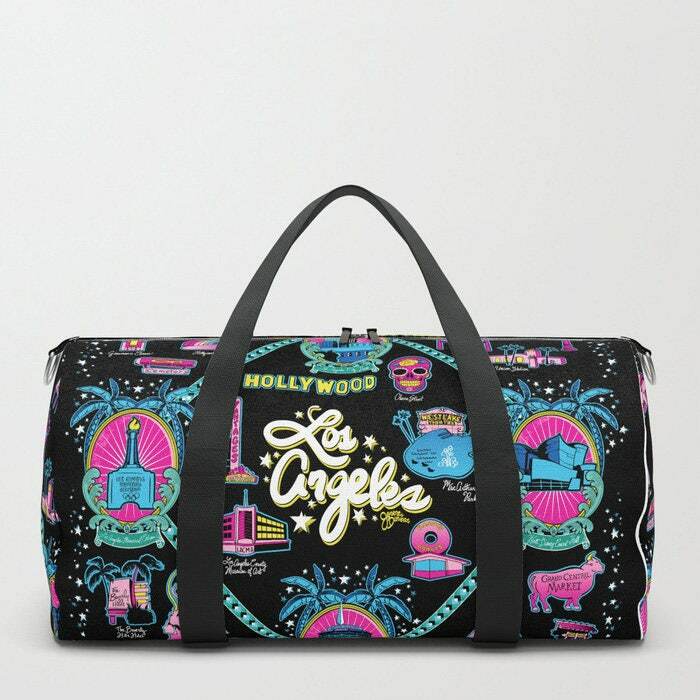 Your new favorite gym and travel bags feature crisp printed designs on durable poly poplin canvas. 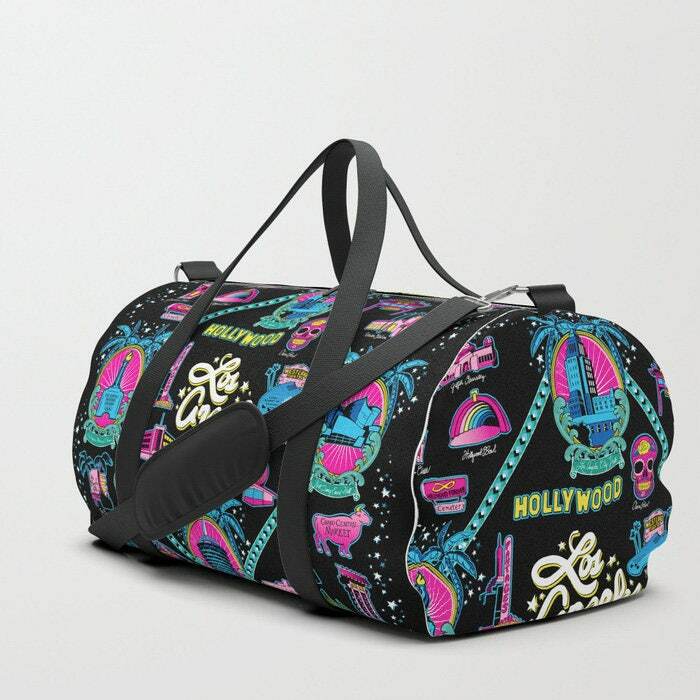 Premium details include soft polyester lining with interior zip pocket, an adjustable shoulder strap (with foam pad), carrying handles, double zipper pull tabs for easy open/close, and brushed nickel metal hardware. Spot clean only.